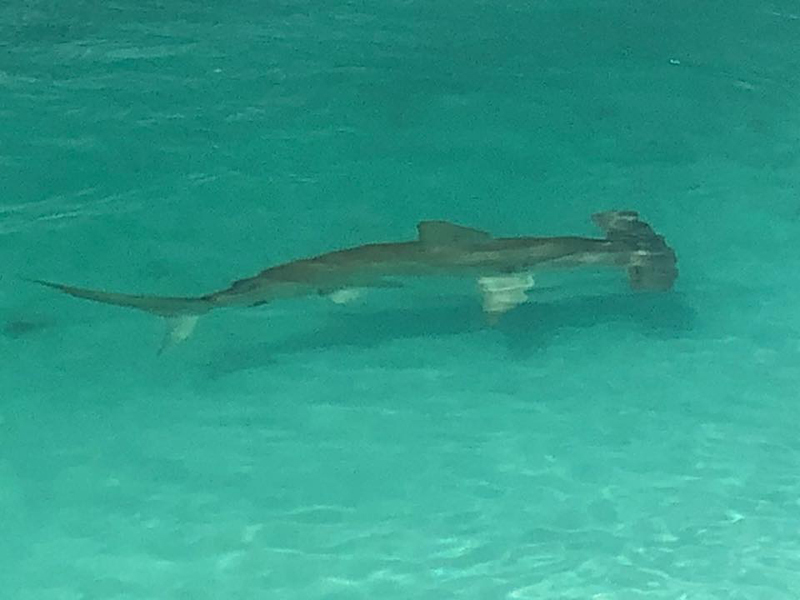 A family said they found themselves privy to a rare sight as they paddle boarded close to Flatts Inlet recently, as a shark made a surprisingly close approach that they were able to catch on video, which went viral after being posted on social media. “Suddenly it came right toward us and we saw what it really was. It swam right between our two boards and then under. “We called the kids to come and bring their phones as we had nothing on us. That’s how we got the footage – my kids Maddy and Noah took it. “The shark hung around in the inlet for a while, maybe 10-15 minutes just swimming around near us. A guy on a conservation boat came through so we told him and he saw it too.